Various applications install their own fonts. If you’ve installed Microsoft Office, for example, that would be evident in your list of fonts. However, Office is ubiquitous, so that information doesn’t go very far to identifying you. Maybe the lack of fonts installed with Office would be more conspicuous. Servers have to query whether particular fonts are installed. An obscure font would go a long way toward identifying you. But if a font is truly obscure, the server isn’t likely to ask whether it’s installed. So the greatest privacy risk comes from moderately uncommon fonts . Except for a spearphishing attack. A server might check for the presence of fonts that, although uncommon in general, are likely to be on the target’s computer. For example, if someone wanted to detect my browser in particular, they know I have Mathematica fonts installed because I said so above. And they might guess that I have installed the Greek and Hebrew fonts I mentioned. They might also look for obscure fonts I’ve mentioned in the blog, such as Unifont, Andika, and Inconsolata. Which Unicode characters can you depend on? Unicode is supported everywhere, but font support for Unicode characters is sparse. When you use any slightly uncommon character, you have no guarantee someone else will be able to see it. I’m starting a Twitter account @MusicTheoryTip and so I wanted to know whether I could count on followers seeing music symbols. I asked whether people could see ♭ (flat, U+266D), ♮ (natural, U+266E), and ♯ (sharp, U+266F). Most people could see all three symbols, from desktop or phone, browser or Twitter app. However, several were unable to see the natural sign from an Android phone, whether using a browser or a Twitter app. One person said none of the symbols show up on his Blackberry. I also asked @diff_eq followers whether they could see the math symbols ∂ (partial, U+2202), Δ (Delta, U+0394), and ∇ (gradient, U+2207). One person said he couldn’t see the gradient symbol, but the rest of the feedback was positive. So what characters can you count on nearly everyone being able to see? To answer this question, I looked at the characters in the intersection of several common fonts: Verdana, Georgia, Times New Roman, Arial, Courier New, and Droid Sans. My thought was that this would make a very conservative set of characters. There are 585 characters supported by all the fonts listed above. Most of the characters with code points up to U+01FF are included. This range includes the code blocks for Basic Latin, Latin-1 Supplement, Latin Extended-A, and some of Latin Extended-B. The rest of the characters in the intersection are Greek and Cyrillic letters and a few scattered symbols. Flat, natural, sharp, and gradient didn’t make the cut. Interestingly, even in such a conservative set of characters, there are a three characters included for semantic distinction: the minus sign (i.e. not a hyphen), the difference operator (i.e. not the Greek letter Delta), and the summation operator (i.e. not the Greek letter Sigma). It would have been more pretty looking. Single tear down the cheek. No crap amateurish content because of the steep learning curve, and beautiful rendering … What a dream! Shiny math, crappy picture placement: glad it did not! LaTeX would have become bloated, and people would be tweeting about HTML being so much better. Noooo! LaTeX would have been “standardised”, “extended” and would by now be a useless pile of complexity. There’s a useful tradition of using a typewriter font, or more generally some monospaced font, for bits of code sprinkled in prose. The practice is analogous to using italic to mark, for example, a French mot dropped into an English paragraph. In HTML, the code tag marks content as software code, which a browser typically will render in a typewriter font. Here’s a sentence from a new article on Python at Netflix that could benefit a few code tags. These features (and more) have led to increasingly pervasive use of Python in everything from small tools using boto to talk to AWS, to storing information with python-memcached and pycassa, managing processes with Envoy, polling restful APIs to large applications with requests, providing web interfaces with CherryPy and Bottle, and crunching data with scipy. Here’s the same sentence with some code tags. It’s especially helpful to let the reader know that packages like requests are indeed packages. 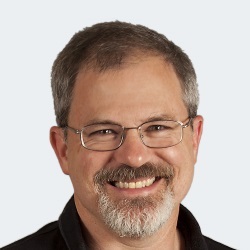 It helps to clarify, for example, whether Wes McKinney has been stress testing pandas or pandas. That way we know whether to inform animal protection authorities or to download a new version of a library. I’ve run across a couple web sites that let you enter a LaTeX symbol and get back its Unicode value. But I didn’t find a site that does the reverse, going from Unicode to LaTeX, so I wrote my own. If you enter Unicode, it will return LaTeX. If you enter LaTeX, it will return Unicode. It interprets a string starting with “U+” as a Unicode code point, and a string starting with a backslash as a LaTeX command. For example, the screenshot above shows what happens if you enter U+221E and click “convert.” You could also enter infty and get back U+221E. However, if you go from Unicode to LaTeX to Unicode, you won’t always end up where you started. There may be multiple Unicode values that map to a single LaTeX symbol. This is because Unicode is semantic and LaTeX is not. For example, Unicode distinguishes between the Greek letter Ω and the symbol Ω for ohms, the unit of electrical resistance, but LaTeX does not. Mental Floss had an interesting article called 12 letters that didn’t make the alphabet. A more accurate title might be 12 letters that fell out of the modern English alphabet. I thought it would have been better if the article had included the Unicode values of the letters, so I did a little research and created the following table. Once you know the Unicode code point for a symbol, you can find out more about it, for example, here. Entering Unicode characters in Windows and Linux. To enter a Unicode character in Emacs, you can type C-x 8 <return>, then enter the value. It’s not that the margins are too wide. It’s that the paper is too big! This sounds flippant, but he gives a compelling argument that paper really is too big for how it is now used. As is surely by now well-known, the real question is the size of the text block. That is a really important factor in legibility. As others have noted, the optimum line length is broadly somewhere between 60 characters and 75 characters. Given reasonable sizes of font which are comfortable for reading at the distance we want to read at (roughly 9 to 12 point), there are only so many line lengths that make sense. If you take a book off your shelf, especially a book that you would actually read for a prolonged period of time, and compare it to a LaTeX document in one of the standard classes, you’ll probably notice that the line length is pretty similar. The real problem is with paper size. As it happens, we have ended up with paper sizes that were never designed or adapted for printing with 10-12 point proportionally spaced type. They were designed for handwriting (which is usually much bigger) or for typewriters. Typewriters produced 10 or 12 characters per inch: so on (say) 8.5 inch wide paper, with 1 inch margins, you had 6.5 inches of type, giving … around 65 to 78 characters: in other words something pretty close to ideal. But if you type in a standard proportionally spaced font (worse, in Times—which is rather condensed because it was designed to be used in narrow columns) at 12 point, you will get about 90 to 100 characters in the line. He then gives six suggestions for what to do about this. You can see his answer for a full explanation. Here I’ll just summarize his points. Use long lines of text but extra space between lines. Use margins for notes and illustrations. Use a two column format. Given these options, wide margins (as in #3 and #4) sound reasonable. Yesterday I used it to reformat an article on literate programming. For some inexplicable reason, the author chose to use a lemon yellow background. It’s ironic that the article is about making source code easier to read. The content of the article is easy to read, but the format is not. Readability to the rescue! Here are before and after screen shots. I recommend the article, Example of Literate Programming in HTML, and I also recommend using reformatting the page unless you enjoy reading black text on a yellow background. Readability did a good job until about half way through the article. The article has C and HTML code examples, and perhaps these confused Readability. (Readability usually handles code samples well. 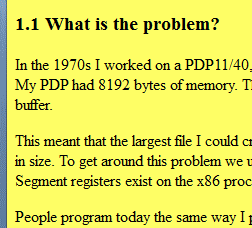 It correctly formats the first few code samples in this article.) The last half of the article renders like source code, and the font gets smaller and smaller. I ran the page through an HTML validator to see whether some malformed HTML could be the source of the problem. The validator found numerous problems, so perhaps that was the issue. I haven’t seen Readability fail like this before. I’ve been surprised how well it has handled some pages I thought might trip it up. I ended up saving the article and editing its source, changing the bgcolor value to white. 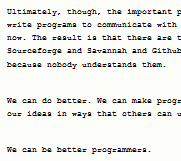 It’s a nice article on literate programming once you get past the formatting. The best part of the article is the first section, and that much Readability formats correctly. Instapaper reformats web pages similarly. It produces a narrower column of text, but otherwise the output looks quite similar. Instapaper did not discover the title of the literate programming article. (The title of the article was not in an <h1> tag as software might expect but was only in a <title> tag in the page header.) However, it did format the entire body of the article correctly. I find it slightly more convenient to use the Readability bookmarklet than to submit a link to Instapaper. I imagine there are browser plug-ins that make Instapaper just as easy to use, though I haven’t looked into this because I’m usually satisfied with Readability. LaTeX users may know about Detexify, a web site that lets you draw a character then looks up its TeX command. Now there’s a new site Shapecatcher that does the same thing for Unicode. According to the site, “Currently, there are 10,007 Unicode character glyphs in the database.” It does not yet support Chinese, Japanese, or Korean. 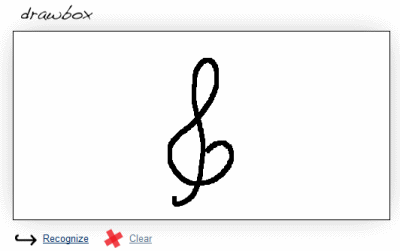 Notice the treble clef response has a funny little box on the right side. That’s because my browser did not have a glyph to display that Unicode character. The browser did have a glyph for the contour integration symbol and displayed it. Another Unicode resource I recommend is this Unicode Codepoint Chart. It is organized by code point value, in blocks of 256. If you were looking for the contour integration symbol above, for example, you could click on a link “U+2200 to U+22FF: Mathematical Operators” and see a grid of 256 symbols and click on the one you’re looking for. This site gives more detail about each character than does Shapecatcher. So you might use Shapecatcher to find where to start looking, then go to the Unicode Codepoint Chart to find related symbols or more details. How do you refer to the C# programming language in LaTeX? Simply typing C# doesn’t work because # is a special character in LaTeX. You could type C#. That works, but it looks a little odd. The number sign is too big and too low. What about using a musical sharp sign, i.e. C$\sharp$? That also looks a little odd. Even though the language is pronounced “C sharp,” it’s usually written with a number sign, not a sharp. The result is what we’re subconsciously accustomed to seeing in print. Here’s an analogous command for C#. And here’s the output. The number sign is a little too small. 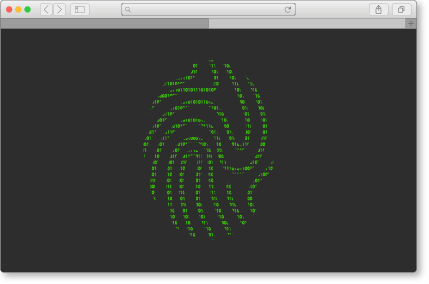 To make a little larger number sign, replace \tiny with \scriptsize.